Oil fields, refineries, water treatment plants, waste dumps and other installations have flares to burn off excess gas, such as methane. These flares are constructed in such a way were a commercially available igniter (spark generator) is used to ignite a gas stream traveling up a flare stack. When the gas reaches the top of the gas stack the igniter is turned on. The igniter generates sparks across an electrode, which reaches into the gas stream. If everything is working as designed, the sparks ignite the gas. However, there are several scenarios were the flare might not ignite. For instance, ambient conditions may be adverse, or the igniter generated sparks are not powerful enough to ignite the gas. The igniter and/or electrodes may also have aged and are not performing optimally, in which case the flare might also not ignite. If the gas is not ignited the raw and unburned hydrocarbon fuel is released into the air, adding significant amounts of pollutants into the atmosphere. The Omnitek capacitor-based ignition cable will increase the power of the igniter generated sparks significantly, improving igniter/spark generator performance to such a level that ignition of the gas in the flare stack is assured. This substantially reduces air pollution since no raw and unburned hydrocarbons are released into the atmosphere. 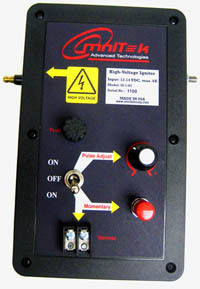 Omnitek offers high-performance spark generators for all flare-stack applications. 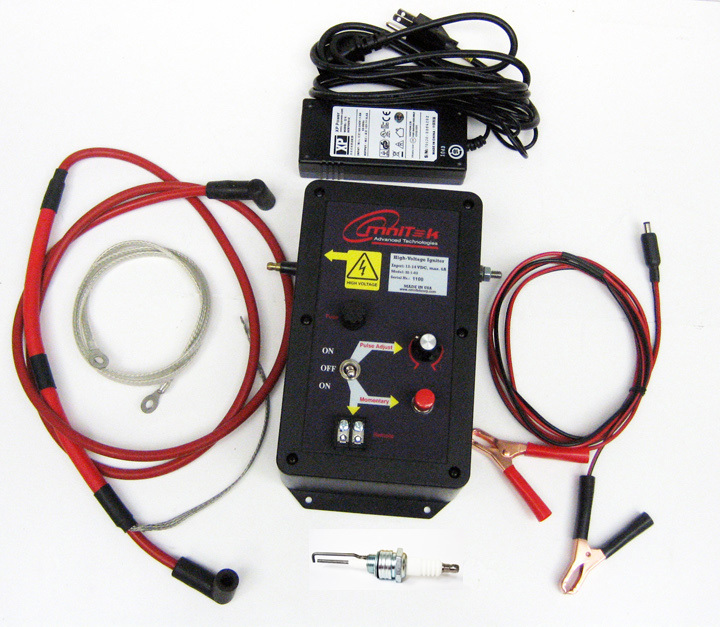 These spark generators are usable in remote applications and operate with 12 Volts or 110 Volts. -- For Visual representation of the Capacitor Based Ignition performance, click here.